Church of Christ Lesbian: Can't postdate God! 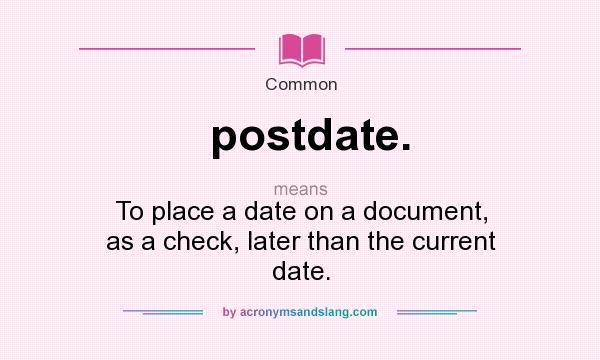 At work we postdate files to run on a certain date in the future. A person signs up and promises that they will pay on x date. They don't always go through but when they do, it is a good day. As I think about this, I think of God. I can't make promises that I will do something on x date with God. I can't say, "God, on February 13th, 2017 I will do this for your service." I instead need to be doing the best I can for God on a daily basis. God does not say, "Lesley, I won't bless you till the 20th of the month." No, it says now is the time of God's favor, now is the day of salvation. God don't postdate His love, why should we act like we are to Him? Today, do what you would tomorrow for God! Live as if there is not going to be a tomorrow, cause tomorrow is not promised. 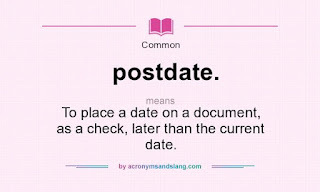 Don't postdate God for He does not postdate you!